Toshiba has delivered on a promise made in March to undercut its Blu-ray rivals by slashing the cost of its 1080p HD DVD players. HD DVD is also being bolstered by the arrival of a 300-euro (around £200) HD DVD player from Venturer - the cheapest HD video player in Western Europe. Toshiba launched two new HD DVD players at IFA 2007 this week. Topping the interest curve is the HD-EP30, which is the first 1080p player to sell for 400 euros (£270) - a 50 per cent price cut over last year's model. The HD-EP30 includes a video upscaler which promotes DVD picture quality to pseudo-HDTV levels. The HD-EP35 is joined by the HD-EP35, a fully featured model that goes on sale alongside the HD-EP30 in October. The 500-euro (£337) HD-EP35 features Deep Colour technology via HDMI v1.3, and support for 5.1-channel and 7.1-channel surround sound audio. 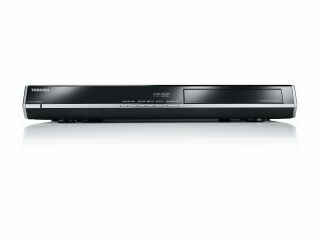 By contrast, Sony's entry into the European HD player space sees its Blu-ray players pegged at £399 ( BDP-S300) and £599 (BDP-S500). Toshiba has also included its proprietary REGZA-Link technology into the HD-EP35 - a HDMI CEC derived features that effectively turns compatible devices into a home network. The two Toshiba players are joined by SHD7000, a 1080i player from Venturer, which goes on sale in October.